Why Should I opt for a Home Phone & Broadband Deal? 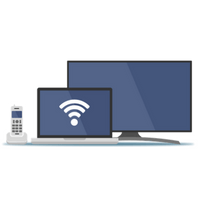 Many broadband deals come inclusive of landline options, and managing your phone and Internet services together can make things easier and more straightforward, as well as potentially saving you money. Bundles often work out cheaper, so it is always a good idea to see what is on offer. What Should I Think About When Choosing Broadband Options? When it comes to choosing a broadband deal, there are two key things to consider – speed and usage. It is important to consider what you use your broadband connection for. If you do a lot of online gaming or streaming, for example, you should probably plump for the fastest broadband available in your area. When you search and compare broadband with Money Pug, we’ll as for your postcode, so we can show you only those deals that are applicable to you. The more you go online and the more data you’re going to need, the higher your usage will be. If you use a lot of data, an unlimited data package is probably going to be your best bet. If you don’t use a lot of data, you may wish to go for a cheaper, limited data package. What Should I Think About When Choosing Home Phone Options? As with choosing broadband, choosing your home phone is also a question of thinking about usage. Providers offer a range of options, such as unlimited daytime, evening or weekend calls. Some offers include deals such as free calls to numbers on the same network, or reduced prices for national and international calls. Which deal will be right for you will depend on when and how you use your phone most of the time. What Do I Do If I Want To Switch?